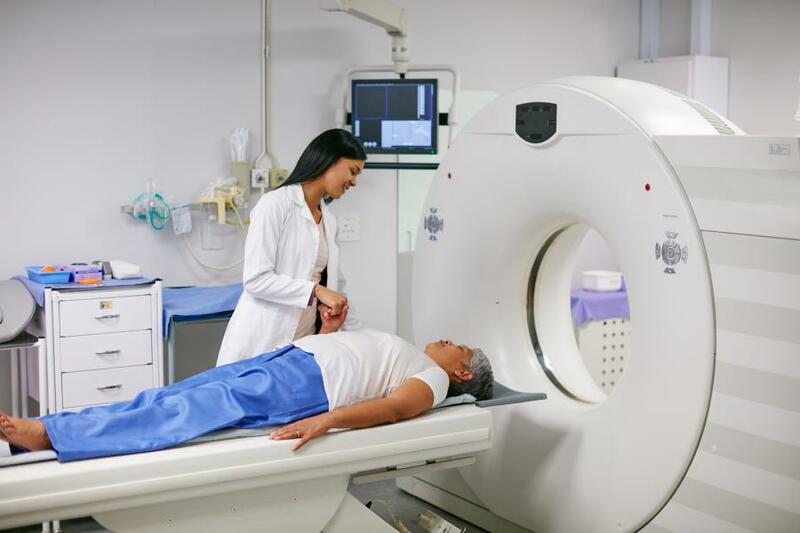 Magnetic resonance imaging appears to be safe for patients with cardiac implantable electronic devices, even for chest imaging, according to a new study by Utah researchers. SALT LAKE CITY , UT, USA, September 29, 2017 /EINPresswire.com/ -- Magnetic resonance imaging appears to be safe for patients with cardiac implantable electronic devices, even for chest imaging, according to a new study by researchers from the Intermountain Medical Center Heart Institute in Salt Lake City. In the past, MRIs have been considered dangerous for people who have the devices. However, the new study, “Real World MRI Experience with Non-Conditional and Conditional Cardiac Rhythm Devices After MagnaSafe,” published in the Journal of Clinical Electrophysiology, found that MRI imaging can be safely performed on patients with devices. X-rays can see bone, but they don’t provide much information about soft tissues like the brain, the heart or other internal organs. “MRIs are marvelous for that,” Dr. Anderson said. Intermountain Medical Center Heart Institute researchers evaluated 212 MRI studies in 178 patients with a cardiac implantable electronic device between February 2014 and August 2016. They didn’t find a single problem requiring remediation in the entire series, which involved a total of 418 implanted leads. In the past, MRIs have been considered risky because of the fear a pacemaker or defibrillator device’s generator circuits could be disrupted, or its metal leads could be pulled out of place by the magnetism, or the lead tips could become hot and scar surrounding tissues, interfering with pacing and defibrillating function. To counter that, some newer devices have been specifically made and tested to be safe for use with MRIs, under certain test conditions in magnetic fields. Devices in this category are referred to as “conditional CIEDs” (cardiac implantable electronic devices), and have been approved for MRI use under imaging conditions implemented by the U.S. Food and Drug Administration. Most people who have implantable defibrillators and pacemakers don’t have these newer, more expensive conditional devices, however. Rather, they have standard non-conditional devices. In patients with non-conditional devices who have a medical need for imaging, and in whom MRI is deemed the most desirable diagnostic tool, MRI usually hasn’t been used, or the non-conditional devices and leads have been removed and replaced with conditional devices and leads beforehand. Imaging decision-making for those with cardiac implantable electronic devices has started to change with publication this year of a large multicenter study called the MagnaSafe Registry study, which showed that non-conditional devices can be safely imaged by MRI, if proper precautions are observed. That study was published in the New England Journal of Medicine. That study was limited in that it looked at safety of MRIs only in parts of the body not in direct proximity to the implantable cardiac rhythm devices, which are typically in the chest under one of the collarbones. The new Intermountain Medical Center Heart Institute study directly builds on the MagnaSafe study, validating findings of the main MagnaSafe cohort of 1,500 patients, and expanding that group of patients to include those who need an MRI of their lungs, heart or other organs within the chest. In addition, the new study includes many patients with conditional devices, providing a side-by-side comparison of the two types of devices. The lead author and several of the other researchers involved in the earlier MagnaSafe trial, including Dr. Anderson, already have signed and submitted a letter to the U.S. Centers for Medicare & Medicaid Services, asking it begin to pay for medically-necessary MRIs done in patients with non-conditional devices and performed under the specially monitored situations that MagnaSafe showed to be safe. Dr. Anderson said the new study by the Intermountain Medical Center Heart Institute team confirms the MagnaSafe findings and shows it’s also safe to use MRI to look at the heart or lungs in patients with these implantable devices. Besides Dr. Anderson, the Intermountain Medical Center Heart Institute research team included Steve Mason, PA-C; Jeffrey S. Osborn, MD; Ritesh Dhar, MD; Allison Tonkin, MD; Jon-David Ethington, PA-C; Viet Le, MPAS, PA-C; Jose Benuzillo, PhD, MStat; Donald L. Lappé, MD; Kirk U. Knowlton, MD; and T. Jared Bunch, MD. Intermountain Medical Center is Utah's premier medical center specializing in cardiovascular care, organ transplantation, neurosciences, cancer care, women & newborn, Level I trauma & more. Intermountain Medical Center is one of most active and innovative research centers in the Intermountain West and serves as the flagship medical facility for the Intermountain Healthcare system, which is based in Salt Lake City.